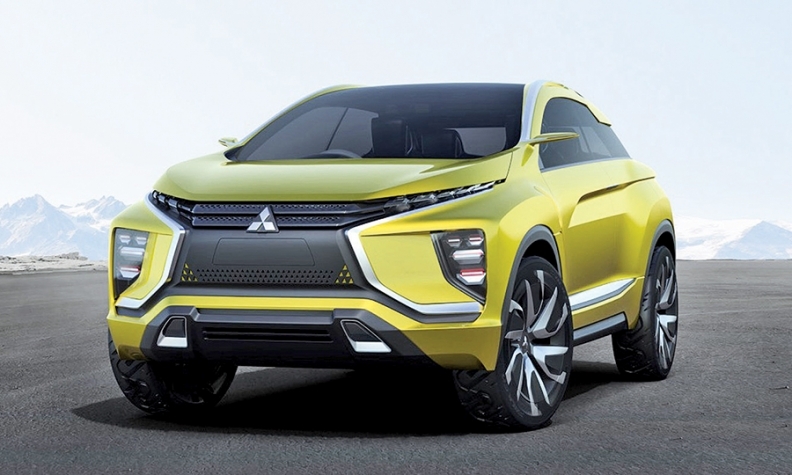 Mitsubishi's eX Concept embodies the Dynamic Shield styling. TOKYO -- A low-slung, all-electric compact crossover concept Mitsubishi will debut this month at the Tokyo Motor Show showcases a new design language for the brand -- and likely previews the next-generation Outlander Sport compact crossover. With its beefed-up fenders and floating roof treatment with blacked-out rear pillars, the eX Concept embodies Mitsubishi's rugged new Dynamic Shield styling. The EV also packs technologies -- such as automatic parking and lane changing -- that Mitsubishi hopes to launch by around 2020. The new design direction is being spearheaded by Tsunehiro Kunimoto. A 40-year veteran of rival Nissan, Kunimoto was poached by Mitsubishi CEO Osamu Masuko in April 2014 to create a more consistent, recognizable brand image.